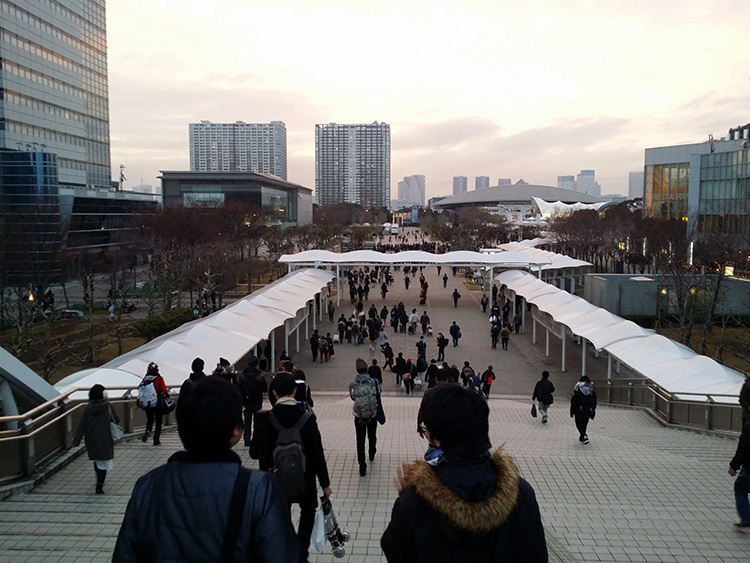 This year’s Comiket was cooler (literally) than average and it actually snowed a little before the doors opened on one of the days! The snow turned quickly into sleet and then a light drizzle though, so it wasn’t that memorable compared to the recent heavy snow that it received. 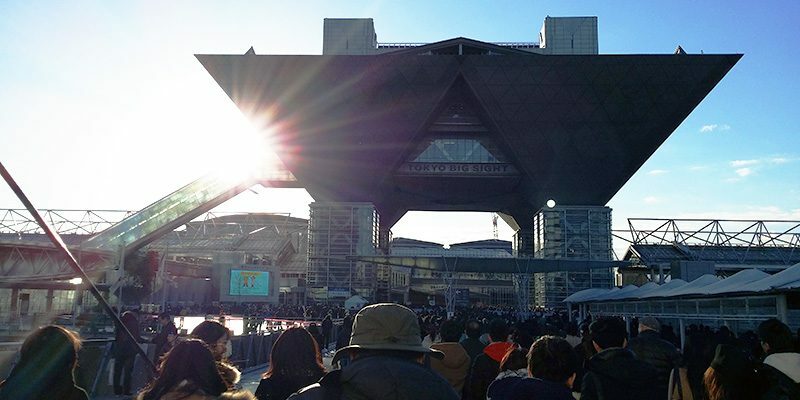 With 550,000 attendees (D1: 180,000 + D2: 160,000 + D3: 210,000) this year, it’s one of the more crowded Comikets. 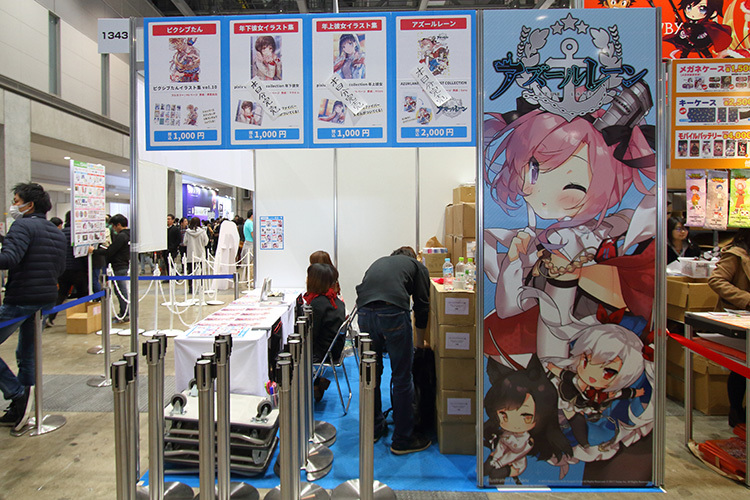 One of the loading screens in Azur Lane (アズールレーン) was drawn by TwinBox who has a booth here. It’s a shutter! On the corporate side, Nekopara (ネコぱら) came back again, same with Twin Angel (ツインエンジェル), and Tokyo 7th Sisters. 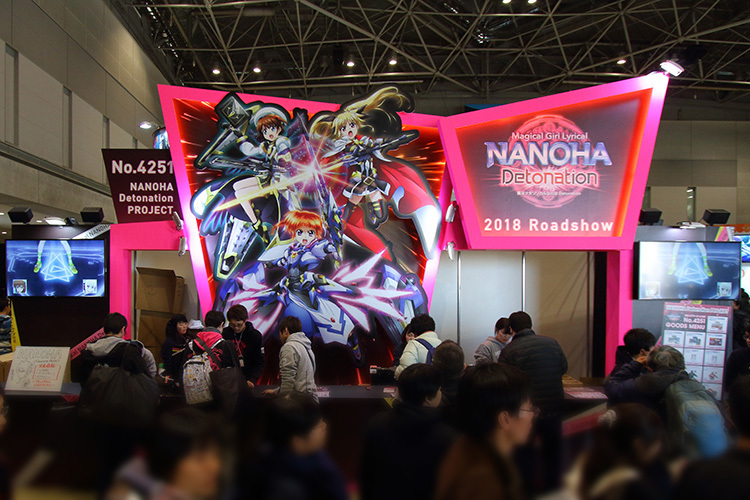 Nanoha (なのは) was promoting their upcoming film DETONATION, with comiket being where/when they exclusively unveiled its PV! Also, notably, Key was selling the 10th anniversary memorial merchandise for Little Busters! and some reaaaaallly premium (￥15,000) anime t-shirts. Wow. Exclusive unveiling of the PV for the upcoming movie! Comiket is one of those big events where these things happen. Pixiv’s Azur Lane illustration compilation sold out each day! Hellooo Atago! ねむ(nemu✾) is a very pretty cosplayer, and my photo here doesn’t do her justice (T.T) so head over to her Twitter! One observation in the corporate side I must note, is that there’s been an increasing number of media content providing companies exhibiting year after year. Probably got to do with streaming being increasingly popular, whether be it streaming professional content, or popular livestreams and feeds. 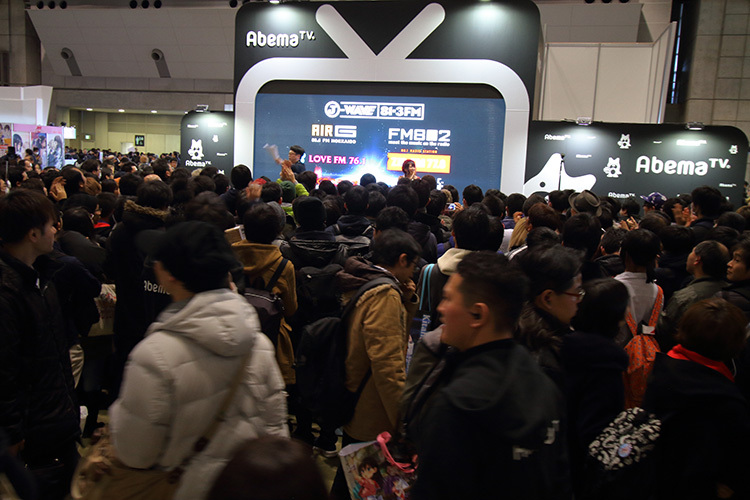 This time, I saw Abema TV (アベマTV) had joined. Abema is giving Nico Nico Douga (ニコニコ動画) a run for its viewers! With that, let me bring you to the more unusual side of Comiket. But first, this year I “brought” some non-comiket-goers along with me. Well, I say “brought”, but I actually just told them how and when to come because I certainly can’t bring them along with the raid team into the morning first cry of battle. That’d be very cruel. Might I remind you, it’s a war zone after all. And their reactions? Oh yes, they were blown away at the scale of things. One of them had been to the conventions in the US (large ones, certainly), and he was remarking that this is on a very different level! They spent quite some time going around row after row after row to “have a look at what is out there” but gave up exhausted after seeing slightly less than half the booths (on just one day). Comiket is really just that big. 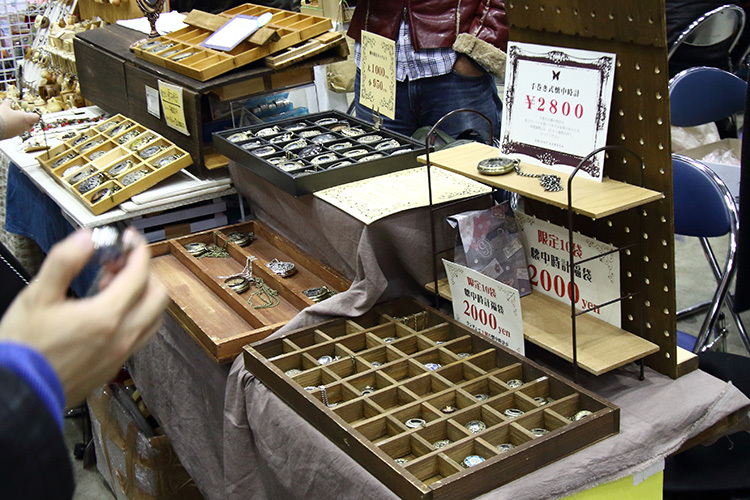 Nevertheless, they did enjoy themselves, so as I’ve ever mentioned before, there’s something for everyone at Comiket! 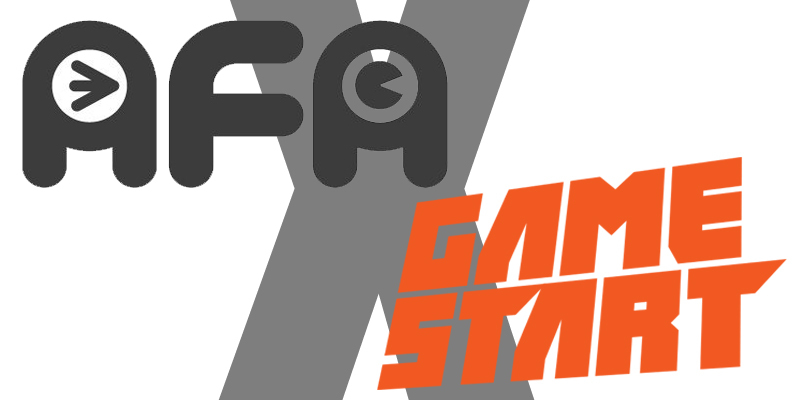 Now on to what I would like to draw your attention to this year. Watches! Well, pocket watches to be precise. Something a bit more exotic than your usual day crafts eh? There were actually a couple of booths selling these this time round, and they did attract a fair number of people (most craft booths don’t have a queue at all typically). 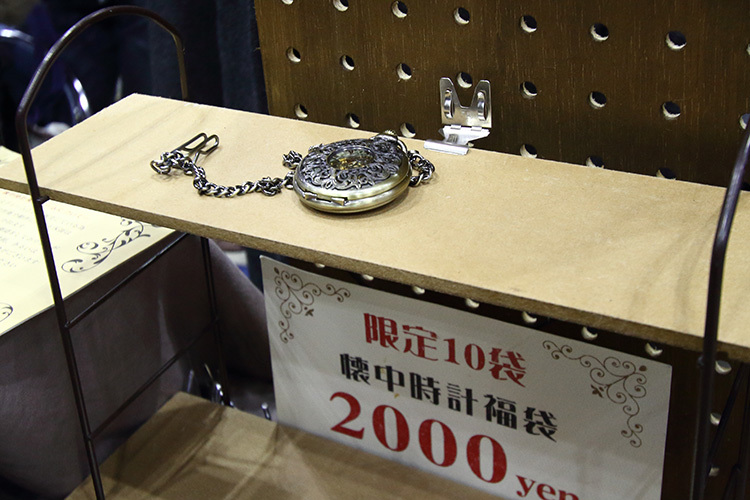 Pocket watches! The steampunk in you can surely relate, and it also carries an air of elegance if you happen to have a top hat and a monocle. 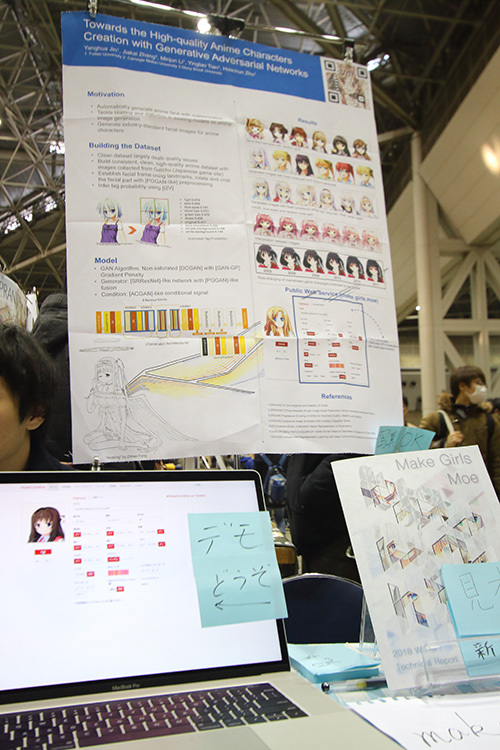 Another one worth noting is the exhibition of a research project paper at one of the circle booths titled “Towards the High-quality Anime Characters Creation with Generative Adversarial Networks”. If you’re in the AI and Machine Learning sector (crossed with being an otaku as well), you might have heard about this paper a few months back, just after the middle of last year. While the outputs of the networks aren’t perfect, and can look awkward at times, it is a real treat to see it in action. It generates an anime girl based on the selected attributes you want the girl to have: hair colour, hair style, glasses (or not), Smile!, Sweet!, Sister!, Sadistic!, Service!… oops I don’t think the last few were part of the parameters. They’ve even built a website if you’d like to try it. And mind you, this booth had quite continuous attention with always a few people around it talking to the students who did this project, and they could explain it in Japanese, Chinese (Mandarin), and English! Now with this technology, you can finally have the exact harem you’ve always dreamed of! 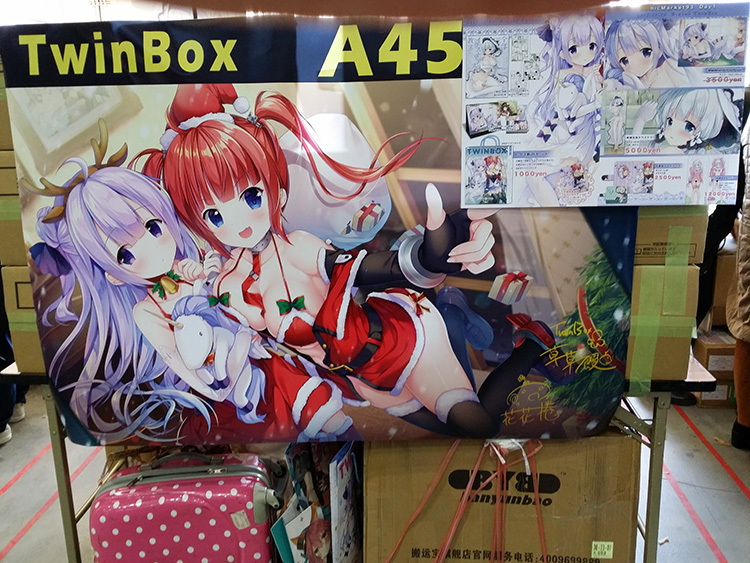 So things like that pop up now and then and really add a nice touch to Comiket. 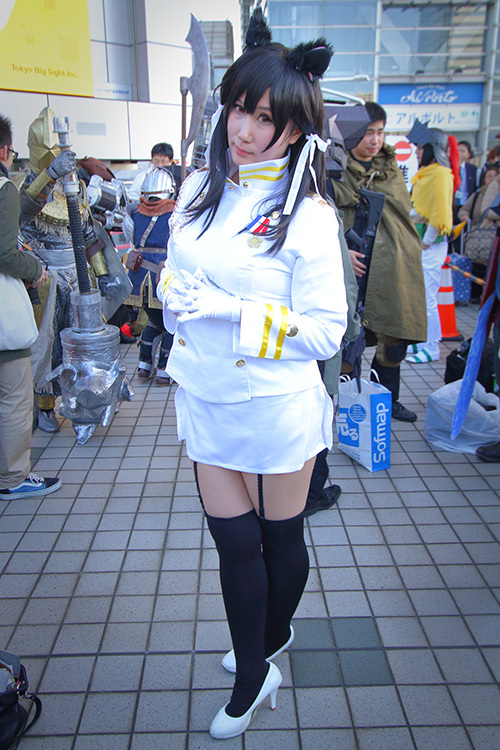 Remember, Comiket is made up of its people, or participants (参加者) as we are all called. There are no sellers nor buyers, and everyone adds to its atmosphere and feel. It’s well worth visiting, and my only regret this year was that I had alot more to rush around for than previous years (along with juggling messaging to different groups of people) such that I couldn’t stop to “soak in” the “Comiket atmosphere” (although I certainly added to it, I hope). In fact, I probably got a bit too absorbed this year, and stayed too late such that I even missed the last “reality this way” (現実->) sign, and I don’t have a picture to show for it! Oh well… Next year it is.